EYEWORKS NOW OFFERS GLASSES SAME DAY! Emergency? Broke your glasses? Lost a lens? From out of town? No problem! Discuss your eligibility of same day service with one of our skilled eye care associates at any of our three locations in Downtown Decatur, Midtown Atlanta or Brookhaven. A canvas is nothing without a fine artist to cover it with ink. 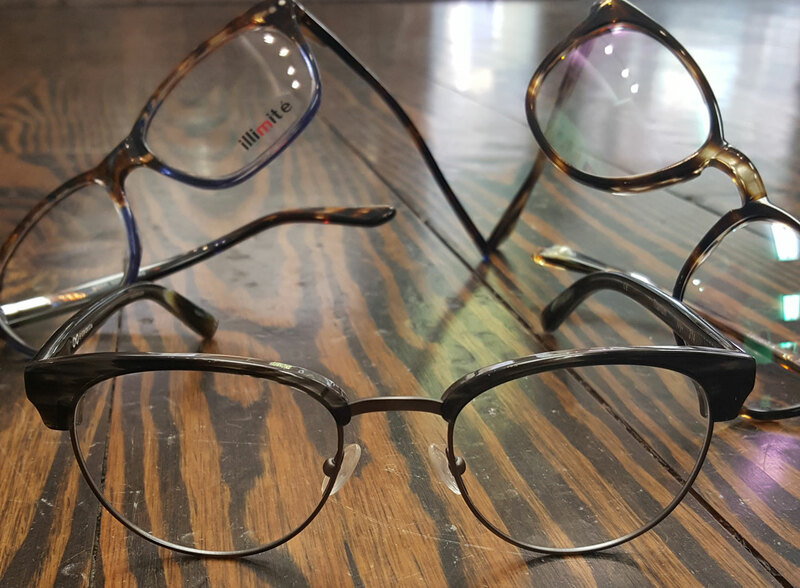 In the same spirit, Eyework’s opticians are uniquely qualified to select just the right eyewear from our collections to frame each person’s unique features and needs. Eyeworks understands that eyewear is not just about style but also about vision. Our opticians interpret prescriptions to bring you the perfect lens materials and coatings. These materials range from specialty of high index materials to specialized state of the art progressive lenses and high level coatings. Nowadays patients have so many options for their lenses. Not only are there High Index lenses up to 1.74 thinness, but the newest Transitions Lenses to include traditional transitions in gray and brown, Drivewear Transitions 7 and Vantage Transition Lenses. If you are looking for photochromic lenses that darken behind the wheel of the car, ask us about X-Tra Active lenses. Gone are the days where a patient can’t get used to their progressive lenses. By choosing the newest technology of digitally etched lenses, you will immediately appreciate the benefits of a wider visual channel and less adjustment time. Along with that, you will find you vision to be as exacting as possible. Digitally enhanced lenses also come in single vision. With Eyeworks specialty in Progressive Lenses, trust that you are in good hands with selection, measurement and education. At Eyeworks, you will learn how to get the maximum benefit out of your lenses and short cuts to get there. If it is specialized “office”, “computer” or “television” lenses you are in need of, we can easily offer you many options. Trust Eyeworks to recommend your best eyewear, lenses, and coatings choices. Ultimately, the result is always up to our patients but with the knowledge we bring, customers can make an educated decision regarding their eyewear.